• At 9:00 AM, FHFA House Price Index for January 2017. This was originally a GSE only repeat sales, however there is also an expanded index. • At 10:00 AM, Existing Home Sales for February from the National Association of Realtors (NAR). The consensus is for 5.55 million SAAR, down from 5.69 million in January. Housing economist Tom Lawler expects the NAR to report sales of 5.41 million SAAR in February. • During the day: The AIA's Architecture Billings Index for February (a leading indicator for commercial real estate). 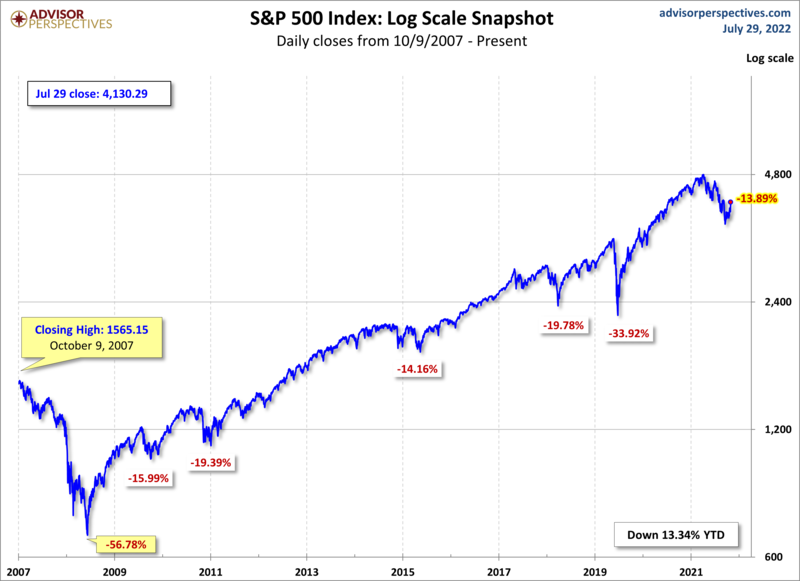 Here is a graph (click on graph for larger image) from Doug Short and shows the S&P 500 since the 2007 high. Today is that little blip at the end.